Thank you for your interest in staying at our hotel. Please fill in the information below to start your reservation. We thank you for your patronage and look forward to your stay with us in the near future. From Centrair airport to takayama direct bus started Name is Shoryudo Highway Bus Ticket. 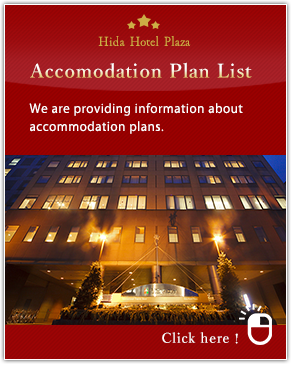 Copyright(C) Hida Hotel Plaza, All right reserved.